Many analysts expected new Android phones to copy the TrueDepth Camera found on the Apple iPhone X, starting with new models to be released early this year. The camera, which uses 3D sensing to map out the user's face, allows the tenth anniversary model to offer the facial recognition system known as Face ID. However, a new report says that production issues, and the cost of building a 3D sensing camera, will keep the number of Android phones offering such a feature to a bare minimum for the first half of this year. According to industry sources, smartphone vendors are more interested in pushing unsold inventory out of their warehouses rather than working on new technology, including 3D sensing and other biometric platforms. As Apple discovered last year, it takes time to ramp up production of 3D sensing technology. At one time, Apple had a less than 10% manufacturing yield on the iPhone X, which was blamed on the complexity of building parts for the TrueDepth Camera. Some suppliers are gearing up for the coming surge in demand for 3D sensing equipment that will be found on more Android phones as 2018 moves forward. For example, optical lens maker Kinko is developing a 3D sensing lens, and Qualcomm is reportedly working with Himax Technologies and Truly Opto-Electronics to develop similar technology for Xiaomi and Oppo. The industry sources also point out that for some smartphone manufacturers, enabling AI features on their new devices is more important than adding a facial recognition system. And helping them along this route are Qualcomm and MediaTek, both of which are designing chipsets with AI capabilities inside. This follows Huawei's inclusion of a Neural Processing Unit (NPU) inside the Kirin 970 chipset, which drives the chip's ability to support AI features. By the time that the second half of 2018 rolls around, we could start to see many more Android flavored handsets offering 3D sensing, face mapping, and facial recognition. Samsung is following, Huawei made it even better, so much for your argument. So why did the others remove the headphone jack? Yeah like how nobody bought into fingerprint scanning LOL you're naive to assume other companies don't want to remain relevant. 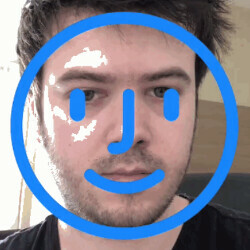 It's better not to include the Face 3d sensing, instead implement in screen fp scanner. Face ID is a copy of face unlock from android since the nexus 4. The difference number is you have the hardware to make it complex and more secure. I think most Android manufacturers will bring back face unlock in addition to having a fingerprint scanner. Someone did it first, and then Apple made it relevant. Now you'll be seeing a bunch of Android devices following right along. "Apple use LG's 3D sensing sensor for iPhone X" no they didn't "If any manufacturers want to implement it, they can get it from LG" it won't be that easy, it's lot of software too to make it a good experience for end users. These are in all likelihood going to be absolute garbage until the second or third iterations, ala fingerprint scanner circa 2014 in Android land. Don't expect miracles this early in the game. Apple's first fps wasn't exactly great either and Motorola had been in talks with the company behind it to put it in their smartphones in 2014, until Apple bought the company and shut them out. Vivo is coming out with fps embedded in display phones early this year. Coulda, woulda, shoulda... it doesn't matter. My point still stands. "Vivo is coming out with fps embedded in display phones early this year." Congratulations? Do you honestly think consumers ever cared about WHERE the fingerprint scanner was? Not to mention the Vivo sensor is about 75% slower than the modern capacitive ones found in today's phones. Combine that with an already moving biometric market, and you've got a DoA "innovation" if you will. Considering Apple's Face ID is pretty much obsolete already, not to mention also seriously flawed, I see a bright future for embedded fps and I'm confident Apple will adopt it too. Face ID will be kept, but not as a main security feature next year. 75% slower? That's not what I've read from tech sites that went to CES and tested it. And if people around me (non techies) are any indication, where the FPS is, is most definitely important. Not so sure if the biometric market is moving away from FPS, face unlock is still a bit of a hassle and most serious tech sites are appreciating the DoA as you call it. The 75% slower is quoted via Mr.Mobile's hands-on in which he stated the time to unlock was 0.7 seconds, or around 75% slower than modern flagship FPS. Ultimately, all of this will come down to market penetration. Apple likely has a much larger slice of the pie than any of these phones with underscreen FPS will ever realistically see, and tech enthusiasts make up less than maybe 2% of potential customers. Unless Apple themselves renig on their claim that FPS are a thing of the past, I'd expect to see them phased out by the early 2020s. Depends on which brands will incorporate these (and in which models, cause I doubt budget phones will get them). But just because Apple says it's a thing of the past, doesn't mean they are. Honest question, isn't it renege? "Honest question, isn't it renege?" Probably haha... tried to use a word I've never actually seen before. Since Samsung will likely introduce it on the Note 9 and will bring it to the S10 and maybe the A series in 2019, I'd say market penetration won't be an issue. Huawei will more than likely adopt it as well, same for Xiaomi, LG, Google, Motorola and just about any Android flagship model to be released after Q2 of this year. None of those aside from Sammy have even a fraction of the flagship market penetration Apple does. Since the launch of the iPhone X, Apple has sold anywhere between 25-35 million units, more than all of those companies' flagships COMBINED in the same span of time. Unless these fps are gonna make there way to the lower segment of offerings in the next year or so and as I said Apple *reneges, this isn't really gonna change much. To be perfectly honest I couldn't care less if Apple stuck with Face ID and ignored screen embedded fps. People like you have come to terms with letting Apple dictate your lives and swallow whatever they feed you. Personally I see it becoming big among Android phones, because Face ID or any Android phone version of it, is a nice but ultimately less practical feature. It also aids towards making a near bezelless screen, something Face ID will not do. It's a practical feature, non-invasive on your user experience, has less drawbacks than Face ID, cheaper to use and less troublesome to implement.